Governing Board Member, Jo White, recently was honored by the National Association of Women Business Ownders for her work in Highland Park. 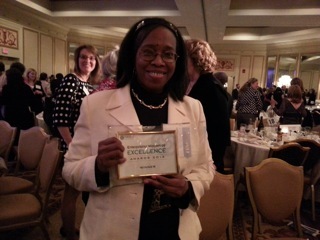 She is the 2013 recipient of the Community Leader Enterprising Women of Excellence Award. Congratulations, Jo! Foundation and Ampersand Board Member, Tanner Smith married Mason Pilcher February 9, 2013 at Christ and Grace Episcopal Church in Petersburg. Congratulations, Mr. & Mrs. Pilcher! Jessica Reveley of the Ampersand Board and her husband Nelson are thrilled to share that they are expecting a baby boy this May. Ampersand Board Member, Christie Gaskins, married Peter Farrell December 8th, 2012. She is pictured here with her sister Katie Gaskins and friend Lindsay Erickson, all Ampersand Board members. Congratulations, Mr. & Mrs. Farrell! Ampersand Board Member, Katie Gaskins, welcomed a furry, new member into her family. Pictured here is Holly, a Cavalier King Charles Spaniel. 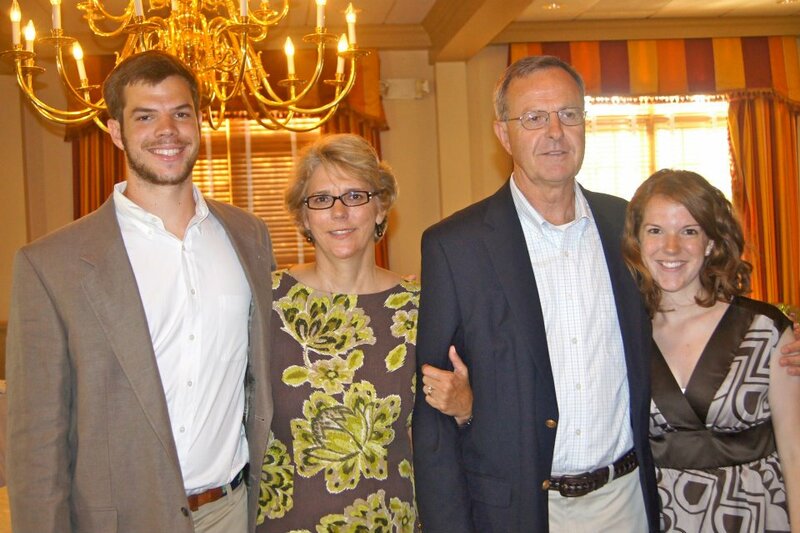 Jenna Moehring, pictured here with her family, is a Boaz & Ruth volunteer, Bonner Scholar, and a senior at the University of Richmond studying Accounting and Spanish. Jenna has been volunteering at Boaz & Ruth since her freshman year at UR and states that she was originally drawn to Boaz & Ruth because “Boaz & Ruth actually gave me projects to do. I also enjoyed the people and the mission at Boaz & Ruth.” Since becoming a volunteer she has continued to enjoy her time here, describing how, “Before coming to Boaz & Ruth I never interacted with this population before, and I really enjoy working with formerly incarcerated individuals.” As she wraps her final semester at the University of Richmond Jenna is reflective when describing what she has taken from her experience at Boaz & Ruth. “I feel like I was able to learn a lot about the people that are in the programs at Boaz & Ruth by being around them and talking with them. I think I have a better understanding of the program participants at Boaz & Ruth; even the Highland Park neighborhood. I have been exposed to it when previously I wouldn’t have been exposed to it without working at Boaz & Ruth.” We thank you so much for your service that you have given to this organization and we wish you luck in your future endeavors moving forward. Ampersand Board Chair, Tunstall Willis, reflects, "It is incredibly hard to believe that The Ampersand Board is embarking on its second year at Boaz & Ruth. Our inaugural year was filled with much excitement; from the angel tree, to private fundraising get-togethers, to our gala. Last year proved to be a busy year. The 2012-2013 year is going to be fantastic with new events in the making and fun community-driven opportunities." The Ampersand Board is always looking to expand its membership. If you are interested please contact Tunstall. Board member, Omega Wilson, completed her doctorate in Educational Leadership and Policy Studies at Virginia Tech. Congratulations, Omega! Congratulations to Megan Rollins for receiving the Stettinius Award for Nonprofit Leadership. Now in its 8th year, this awards program seeks to recognize outstanding professionals who provide effective organizational leadership within the charitable sector. After reviewing nominations of many exceptional candidates, the selection committee chose three individuals to receive $10,000 grants each to pursue professional development activities of their own design. Megan will use the award to help her obtain a master’s degree in public administration at Virginia Commonwealth University. Megan’s leadership at Boaz & Ruth as Chief Operating Officer continues to make a positive impact in our community and we are excited to see the result of this investment in Megan's future. More information about the award can be found here. Blair Curcie, one of Boaz & Ruth’s Bonner Scholars from the University of Richmond, has been living and studying in Valparaíso, Chile. 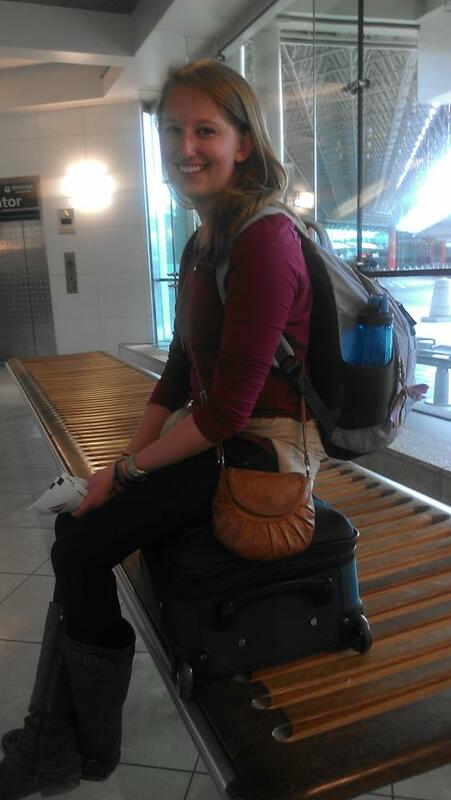 She is taking classes and conducting research during her time abroad. While we miss her presence greatly at Boaz & Ruth, we are eager to see what new projects she will come up with once she returns! Follow Blair's video blog here. 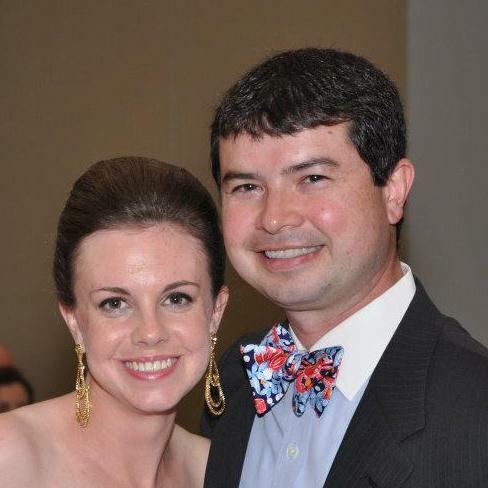 Charlie Summers has been elected Boaz & Ruth Governing Board Chair through 12/31/13. Charlie, Senior Pastor of First Presbyterian, Chair of Richmonders Involved to Strengthen Communities (RISC) and Founding Board Chair of B&R, is particulary suited to provide stability and shepherding through our CEO transition. Learn more about the work of RISC. Carlos Brown was named chair of Richmond Metropolitan Authority, the first new chair in 28 years. Cheers and thanks to Carlos for remaining on the Boaz & Ruth board even with his new immense responsibilities! Read more here. Tyrone Nelson was elected to Henrico County Board of Supervisors and was selected to greet Obama as he visited Richmond in August. Tom Edmonds former board chair and a long standing board member is Guest Professor at University of Charleston Law School for the 2012-13 academic year. Despite the distance, Tom is choosing to remain a participating board member through our CEO transition. Thank you Tom for your steady leadership. Yvonne Haynes, Board Secretary, was named Director of Mental Health Services for Richmond Behavorial Health Authority. Yvonne is also playing a prominent role in our Succession Planning Committee. Others on the Committee are Corell Halsey Moore (Chair), Kim Zee McCall (Rising chair of Governance Committee), Martha Cook and Charlie Summers. Board members newly elected in April to fill vacancies are already doing amazing things. Dianna Page Lofton is an official volunteer at the Democratic National Convention. Additionally she introduced Tim Kaine at a recent event in Highland park. Jo White was featured on the front page of The Voice for her work as founder of The Guardian Angels and Saving Our Youth. These two organizations are working to bring safety and education to Highland Park. Read the article here. Mary Catherine Savage has completed her tenure as Vice President of Human Resources at Genworth and is stepping into her board role at B&R with vigor.